Today on the blog we are featuring the amazingly talented and lovely makeup artist, Hazel George. She knows how to make a woman look naturally beautiful by using her fairy dust and, most importantly, works her magic on all types of skin tones. L&L: Tell us about what set you on the path to becoming a makeup artist? Growing up I always enjoyed art & crafts, painting, drawing, sewing and creating jewellery and many things by hand. 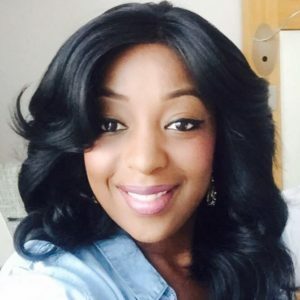 I became an independent beauty consultant with Mary Kay Cosmetics 8 years ago and in my second year I entered a makeover challenge and won first prize out of all the entrants in the U.K. During that time I started receiving enquiries about Bridal makeup and makeup for special occasions from my circle of friends, family and beauty clients. This helped me realise that makeup artistry was my calling and pushed me to seek the necessary training I needed to continue to have my creative outlet and do what I love so I took time off my day job and attended a makeup course at the London School of Beauty. L&L: What brand(s) of makeup do you use? What happens if the bride has a preference? I have some favourite standard, as well as specialized, products that I like working with, that suit all skin tones well, so my initial recommendations are made based on that. However, I am familiar with, experienced and capable of using a wide variety of cosmetic brands in an expert manner. My ultimate aim is to ensure that the Bride’s ideas and preferences are prioritized to achieve an amazing, timeless look. L&L: How long do you typically take per person? About 30 to 40 minutes for each person on average (Bridesmaids, Mothers and other special ladies), but on sets where a large number of people are involved, I have worked at a faster pace. For the Bride, an allowance of about an hour is ideal for general skin prepping, corrective measures, blending, contouring and facial feature enhancements, while taking into account the gown and head gear design, as well as overall style theme. 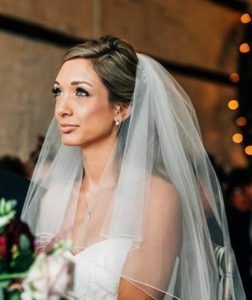 L&L: When doing bridal makeup, what do you do to ‘connect’ with your bride before the big day? Usually, we get to know each other by chatting over the phone and via email. I ask Brides to compile and provide images of bridal makeup looks they admire, elaborating on what particularly appeals to them, so that I can begin to make notes and plan on how I will refer to those pictures as a guide in a way that is realistically suitable to the individual concerned. I tend to meet most of my bridal clients, for the first time in person, when we have the trial which is arranged to take place 8 to 12 weeks before the actual wedding date. I always suggest this is scheduled to happen in the morning for 2 reasons; firstly so that we have natural lighting which is very important, and secondly so that the Bride gets a chance to evaluate not only how it feels but also how long it lasts, which helps determine how long I may be needed to be available for on the actual day. We get better acquainted on the trial day, which starts off as a consultation. We go over the Bride’s skin type and skin care regime. I learn more about a client’s makeup likes, dislikes and usual habits. Specific wedding look requirements such as; colour combinations, keeping it natural, being glamorous and even adding a bit of drama are discussed in advance, and considered when I apply the makeup. A trusted friend or relative is most welcome to attend the appointment, to give a second opinion on how the Bride looks. 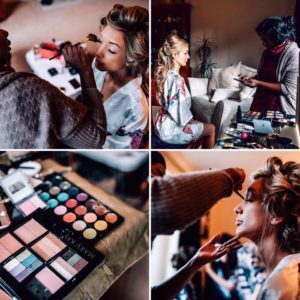 L&L: How does a bride keep her make-up fresh throughout the big day? 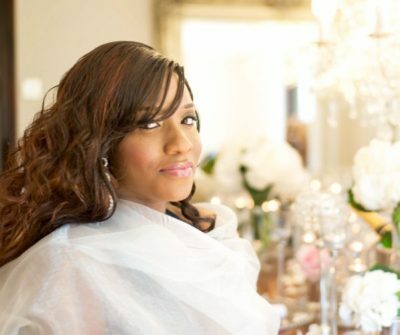 There are various methods that can be used to keep makeup looking perfect throughout the ceremony and reception, depending on application techniques, appropriate water-proof choices and long-lasting product selection. It’s necessary to take preventive measures to counter the effects hugs, kisses, tears and toasts could have on the Bride’s appearance. A good primer is key – I read once in Vogue Beauty that ‘Primers do for your skin what lingerie does for your figure – they smooth, flatter, conceal and hold things in place, so that everything you put on top of them looks immediately better’. I use foundation primer for a smooth and flawless finish, an eye primer for eye makeup and lip primer to stop the lipstick from feathering or bleeding. 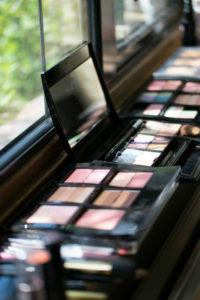 Primers are just one example of the options available to ensure a picture perfect wedding day. I never double book on a wedding day, so can be on standby to make emergency and periodic makeup touch ups that the Bride and her party may require. Alternatively, I can recommend and help pack a touch-up kit for application by the Bride herself or a designated Bridesmaid at a later stage. I will also give the necessary tips on how best to go about maintaining the desired look. L&L: What are your top beauty do’s and don’ts for the bride before the big day? Seek professional advice, from a beautician, on the timing of complimentary procedures such as tanning, application of false lashes, manicures, pedicures, shaping brows and removal of facial hair if applicable. Grooming and ideal appearance of exposed areas, depending on the design of the gown, such as the neck, décolletage, shoulders, back, arms and possibly covering tattoos, must also be discussed with a beautician and makeup artist, so that everything appears uniform and flawless. Never experiment with a new skincare routine, product or exfoliation treatment a few days before the wedding day. Taking such a risk may lead to an adverse reaction that may cause a breakout, redness, pain or inflammation. A Bride must also have a hairdo trial to gauge exactly how much time should be set aside by the hairdresser, no matter how simple or elaborate the style planned will be. 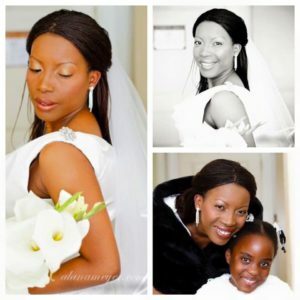 On the wedding day, it’s common practice to start with the hair then finish with the makeup. 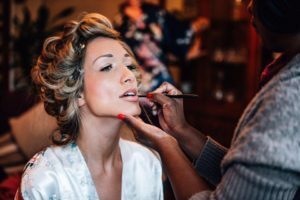 It’s therefore very important to make sure that enough time is allocated for both the hairdresser and makeup artist, as rushing either or both, will compromise the overall quality of the Bride’s look. Thank you so much to Hazel for sharing her story and process. See more information and examples of Hazel’s gorgeous work here. I LOVE the attention to detail. Beautiful!